Clean Up City of St. Augustine, Florida: NO, Don't gloat. (We'll Try). So "ODD TODD" NEVILLE (R-PROCTORVVILLE) Is Throwing in the Towel? NO, Don't gloat. (We'll Try). So "ODD TODD" NEVILLE (R-PROCTORVVILLE) Is Throwing in the Towel? "Free at last, free at last, thank God Almighty, we're free at last." Try not to gloat -- advice I would always give whistleblower and other civil rights plaintiff clients, especially at transformative moments, e.g. while I was demolishing their wicked corporate and governmental management oppressors (usually questioning them Mano a Mano, in direct examination conducted as if on cross-examination), during depositions and in 138 days of trial, 1989-2004. Never got to cross-examine "ODD TODD," but watching this insecure caterwauling developer-coddling critter has been entertaining -- worst City Commissioner of the 21st century? More of my comments below, and on blog, 2014-date. Good riddance. St. Augustine Vice Mayor Todd Neville said he won’t run for re-election to the Commission, pointing to frustration with city management. His seat is up for election this year. Neville on Wednesday described what he sees as a series of failures by the city since he joined the board in 2014, including bungled projects and missed goals. He said the responsibility lies with City Manager John Regan. Neville also said Regan has failed to hold certain people accountable and is hindered in managing by his desire to be liked and to be friends with everyone. “The biggest [problem] I have is we have known issues we don’t address,” Neville said. Regan is in charge of executing the policies agreed upon by the city’s five commissioners, and he’s in charge of hiring and firing. The city has 360 active employees, with 326 who work full -time, according to Donna Hayes, city human resources manager. Regan disagreed with Neville’s characterization of his management. He said city employees have high morale, and he said his management style is inclusive and different than Neville’s approach. Neville is co-owner of the business Neville Wainio CPAs on Anastasia Island. Neville said the city needs a different kind of leadership to reach its goals. In January, he called a meeting to float replacing the city manager, citing some of the same concerns. At the meeting, other commissioners disagreed with Neville and voiced support for Regan. But by that meeting, Neville said he had already crafted a letter of resignation from the Commission because of unresolved issues in the city. He said his parents convinced him to fulfill his duties, and he said he plans to serve the rest of his term. Neville listed a number of concerns. He said the Florida Department of Transportation rejected the city’s idea for shuttle lanes on San Marco Avenue because the city failed to communicate to the public the benefits of the project early and properly. As a result, the people who controlled the message to the FDOT and the public were those who were opposed to the project because it would have removed on-street parking. The city’s idea for the project came up because FDOT will repave San Marco Avenue, which opens the door for redesigning traffic lanes. “For three months I pleaded with [Regan]: Where’s our strategy? ... We’re failing at our communication,” Neville said. Neville also raised concerns about Regan choosing Mike Cullum to become the new public works director on May 1. Cullum’s salary will be $107,250 a year with a $325-per-month car allowance and and inclusion in the city’s pension plan, among other benefits. While Neville said he believes Cullum is qualified, he said he’s concerned because Cullum and Regan are friends. “They’re setting things up for a situation where you can’t really hold [Cullum] accountable because [their] wives are friends [and they’re friends],” Neville said. Neville said he doesn’t know who else applied for the job, and he said Cullum hasn’t led a public works department before. Thirty people applied for the job, some from out of state, according to the city’s Human Resources department. Those applicants include the city’s Deputy Public Works Director Todd Grant and Mobility Program Manager Reuben Franklin Jr.
Regan said when it comes to engineering circles, there are few people he doesn’t know. He said he also knows Cullum through a local running club, where he also met Neville. Regan said Cullum has led major divisions in private consulting and with the St. Johns River Water Management District — as of March, he’d been the technical program coordinator for the district for more than two years, according to the city. And he has expertise in sea level rise and stormwater issues. Regan defended his performance, pointing to a number of accomplishments. The city’s finances are good, the city successfully navigated through two hurricanes and is getting reimbursements back for projects, and the mobility project, which has had setbacks, has also had successes. “Last year was a tough year, but we have a strategic plan, and we made progress on every single item,” Regan said. It’s not clear when Neville might reappear in the political scene after he leaves the Commission. He said he’s involved in different circles but doesn’t plan to run for another office this election season. As for future possibilities, he said being a state legislator doesn’t pay enough because he’d have to leave his accounting firm. “If it’s anything, it will be at the federal level,” said Neville, who helped introduce Marco Rubio in March 2016 at a rally during Rubio’s campaign for president. Neville said he still plans to serve on the city’s audit committee, which he suggested forming. The audit committee has been meeting to allow the city’s auditor to candidly voice concerns about city finances that might arise, Neville said. As of Wednesday, only one person had filed to run for Neville’s seat: Jill Pacetti, a staunch supporter of keeping Confederate monuments in their current positions in the city. Pacetti is related to a Confederate soldier listed on the city’s Confederate monument in the Plaza de la Constitucion. The story was updated about 2 p.m. on April 5 to include details about salary and benefits for St. Augustine’s new public works director, and details on other applicants for the job. Thank you for updating article on crybaby Commissioner. ″...We’re failing at our communication,” Neville said.”.... To me, communication includes listening, and not just talking. Many people, and business operators were against this mobility plan. It hurt everyone uptown for the benefit of a few tourist businesses. Hopefully the city will not force this waste of money on the city. Great news. Maybe we can elect someone who represents the residents of St. Augustine, instead of tourists and the tourist industry. @Marty Miller Yes we can! ″...city employees have high morale” Really? @Dark Angel78 Better pay, benefits and working conditions than certain other local employers we might name? And Bill Harriss left in 2010. Maybe his replacement won't b as disrespectful as he is at the meetings, because he is always looking down at his ☎! @D Anderson. And looking down on the people. 2. "Odd Todd" said he does not know who applied. How odd. If "Odd Todd" had only asked, he'd know. Data-free, ethically-impaired "Odd Todd" Neville would rather point the bony finger of indignation, not seek information. 5. "Odd Todd" did NOT ask, and apparently neither did the Record. Wonder why? 6. Thus, it is utterly unfair for "Odd Todd" to criticize selection of Mr. Cullum. 7. Again, "Odd Todd" admits he did not know who else applied. 8. Nasty "nattering nabob of negativism" is most noted for his cheap shots. Add one more to the length list of "Odd Todd" faux pas. (Just checked -- the plural of "faux pas" is "faux pas," but with a "z" pronounced at the end). So he Wanted the parking off San Marco?...pfft..that says a lot. Dont forget his secret and private meetings with Rev Rahls and his friends that have been caught stealing signs, and their private special deals with Todd!!! What will they do without Todd, their inside link to disrupt St Augustine and pad their pockets with special project funds. Nasty man turned on his friend John Regan. Does not conceal the failed Commissioner's own ineptitude and inadequacy..
1. Nasty man. So "Odd Todd" considered resigning but Mummy & Daddy told him not to? Quaint. 2. Why no critical questions about his pitiful, petulant performance, his demand to spend City resources on an illegal, retaliatory libel lawsuit against HCN and Michael Gold? 3. "Odd Todd" has refused to disclose his client list, making it impossible to know whether he is in violation of F.S. 112.313(7)(a). We DO know his clients include LLCs, Flagler College and Flagler Hospital? 4. "Odd Todd" in Congress? That's a hoot. Feeling frustration from what he’s called a “lack of accountability” in the management of the City of St Augustine, one-term commissioner Todd Neville is quoted in this morning’s St Augustine Record saying, “the city needs a different kind of leadership to reach its goals” and that he will not seek re-election. 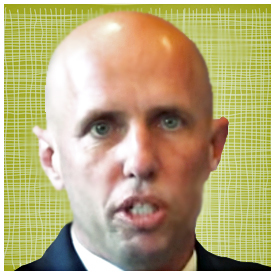 With only nine months under his belt in any elected public office, then 41-year-old freshman city commissioner Todd D. Neville, a local Certified Public Accountant, challenged City Attorney, Isabelle Lopez, to take on Historic City News, a free press, and citizen journalist Michael Gold, for accurately exposing campaign contributions taken by Neville from a local developer and his attorney. Neville wanted to use City resources to bring a civil claim of defamation against Historic City News and Gold, until it was explained to him that a municipal government can’t be “defamed” and if he wanted to sue, he was on his own. At the next commission meeting, he announced that he had dropped the idea. To many in the city, after Neville was elected, defeating long time commercial contractor John Valdes for the open seat created when architect Don Crichlow retired, it seemed as though they had gotten two commissioners for the price of one. Commissioner Neville’s wife of only four years, Heather Sutherland Neville, became the “go to” person for anything to do with mobility, transportation, traffic, running, bicycling, and any other project to which she took a fancy. Both Nevilles were viewed as “too bossy”, so, when the two were involved together, many volunteers, and candidly some city staff, reported that it could get overwhelming — choosing not to work with them. With interest we learned in media accounts that Neville cited the San Marco Avenue repaving project, owned and directed by the Florida Department of Transportation, not the City of St Augustine, as an example of a failure to communicate to the public the benefits of the project early and properly. According to published reports, Neville said, “For three months I pleaded with [Regan]: Where’s our strategy? … We’re failing at our communication.” As a consequence of that mismanagement, the idea for shuttle lanes on San Marco Avenue, supported by the Nevilles, failed to be accepted by FDOT. In any event, Neville reportedly discounted his personal preference to resign now from the remaining eight months of his term. He says his parents talked him out of it. The former elected holder of Seat 4 was Bill Leary; who served only two-years of his four-year term. He complained about some of the management problems identified by Neville. He quit and moved to California before the 450th Commemoration was held. Not only will Neville not seek re-election, he discounted any rumors that he would run for any office, on any level, before the 2020 Presidential Election Year. Rumors grew louder last year when he listed, for $725,000, the Lincolnville home that he purchased from his father in August 2016. He says that he wouldn’t run for the legislature because it doesn’t pay enough, and he would have to sacrifice too much time from his accounting practice. He expressed an interest in considering a federal level position, but no commitments have been reported. "Odd Todd" accomplished what? Nasty man.